Pursuant to Florida Statute 409.988, the Family Integrity Program is posting the following organizational information. Performance on outcome measures pursuant to Florida Statute 409.998 is provided for the previous 12 months. 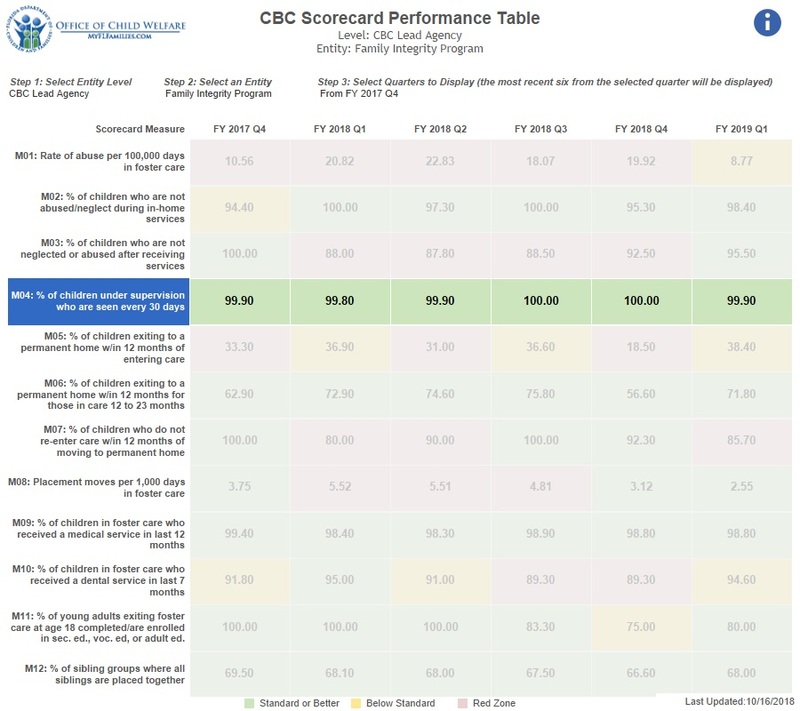 Click on the link below to view the monthly scorecard and children seen reports. These reports and associated data are compiled by Florida Department of Children & Families.